Cancellations available 30 days or more before workshop start date minus a $40 handling fee. No refunds will be made within 30 days of the workshop, however registrants may apply the fee towards a future workshop with I.T.S Birth services. Cancellations within one week of class must pay a $50 administration fee to rebook and apply fee towards another workshop. This 3-day Seminar satisfies a major step in the Lamaze certification program for new childbirth educators. Lamaze understands that childbirth educators come from varied backgrounds. The Lamaze childbirth educator certification program gives you options: flexible pathways tailored to your level of experience. Find your pathway here. Learn how to teach dynamic classes that are grounded in evidence-based information. The mission of I.T.S. 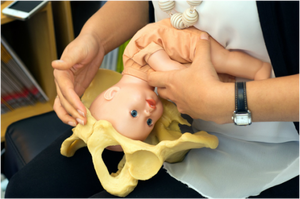 Birth is to provide high quality instruction for childbirth educators. To equip educators to make a difference in their communities using evidence based information. This Seminar provides an update, refresher, and contact hours for experienced educators.